Smithfield Valley - A private road to a private drive to a private enclave on 11+ acres where you can enjoy the absolute serenity and quiet of true country life. This carefully crafted and well-built 3, 400+ square foot home offers truly gracious living with its very large living room with wood burning fireplace, built-in bookcases and 2 French doors to a large lawn terrace with built in fireplace/barbeque, a formal dining room with access to the porch/deck and a spacious kitchen with a large island and eat-in area. A first floor bedroom and full bath provide a great guest quarters away from the other bedroom spaces. The second floor houses a very large Master bedroom suite with wood burning fireplace, 2 walk-in closets and a large master bathroom with separate tub and shower as well as an additional bedroom, an office and a full bath. 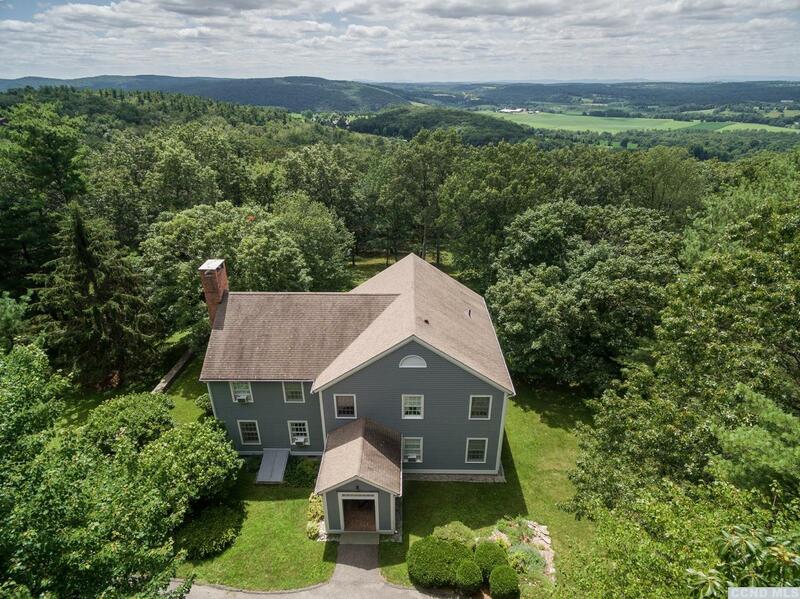 Located just minutes from Millbrook, Amenia and the Metro North railroad.